Saturday, March 9, 6-9 p.m.
1900 Fort Myer Dr., Arlington, Va. Event is free. No registration required. Join us for five presentations focused on showcasing, interpreting and preserving images. Snacks provided. The Prints & Photographs Division of the Library of Congress holds one of the country’s foremost collections of Civil War photography. These treasures comprise not just the studio archives of Mathew Brady’s firm, but continued acquisitions like the Liljenquist collection of cased photographs and cartes-de-visite of everyday men and women, the Gladstone collection of portraiture documenting the social and military history of African-Americans, the Stanford collection of stereographs, major albums of the war, and work by contemporary photographers commenting on the conflict’s continued resonance in America. This talk will examine the varied ways in which these collections have been developed, preserved, and used throughout their history. 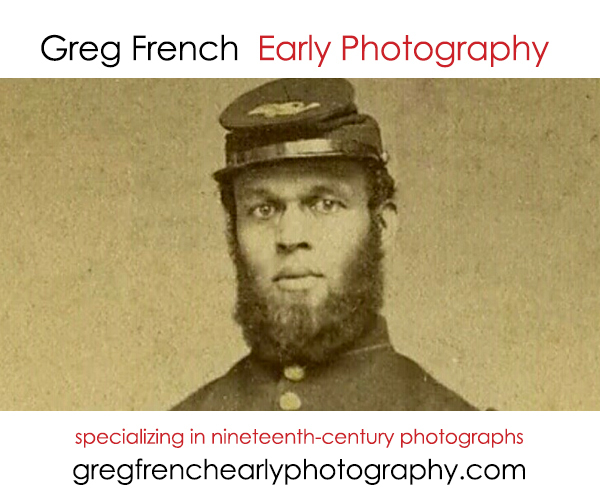 People have struggled to identify unknown soldiers and sailors in Civil War photos since even before the war ended. In this talk, I trace the 150-year history of photo sleuthing, showing how the passage of time has magnified some challenges, but also unlocked exciting new possibilities. I show how technologies like social media, face recognition, and digital archives allow us to solve photo mysteries that have eluded families and researchers for a century and a half. 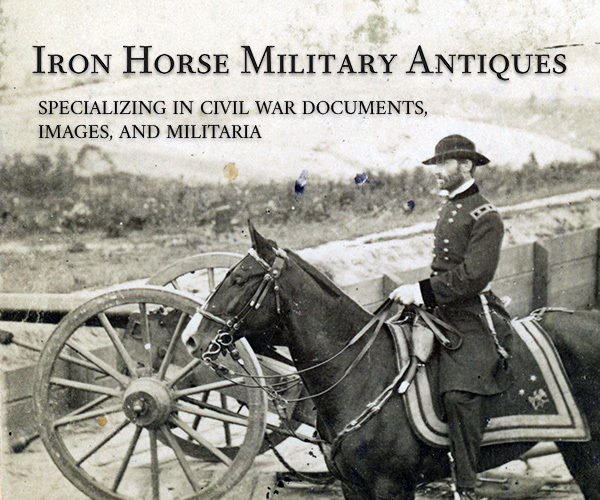 Bryan shares stories about rare events in the hallowed halls of the repository of Civil War records: Finding original Civil War photographs in pension files. Rick reviews a selection of images from his collection with an eye to art appreciation, research concepts and social issues. Show hours: 10 a.m.-4 p.m.
General admission: $7 (Students with ID free). 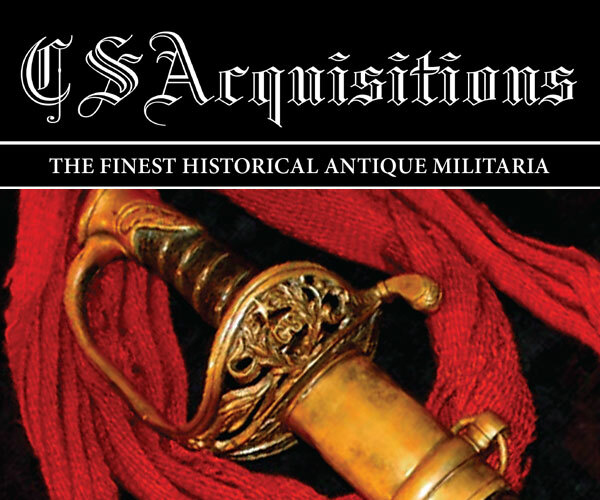 Pleased to announce that Military Images is expanding its list of Senior Editors to include two outstanding members of the collecting community: Rich Jahn and Kevin Canberg. 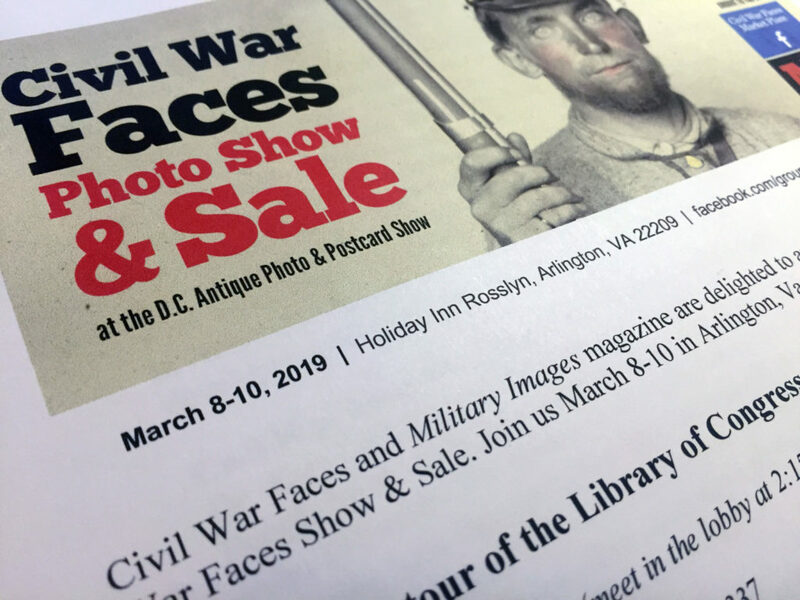 Both have been wonderful supporters of our mission to showcase, interpret and preserve Civil War soldier and sailor photographs. Please join me in congratulating them. 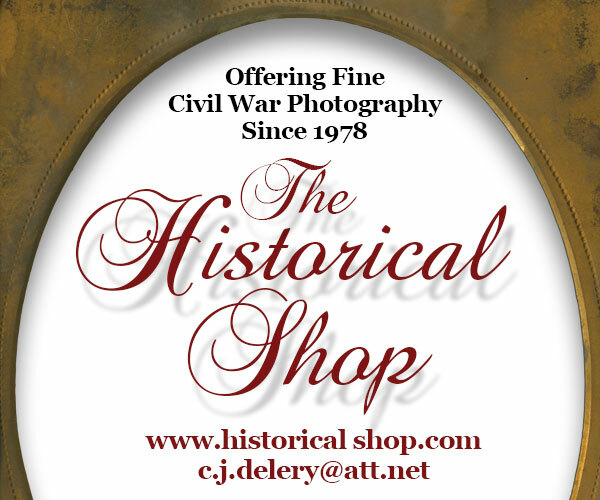 Rich Jahn is a longtime collector of Civil War portrait photography. An army veteran and Rutgers University graduate, he got his start during the Civil War centennial and later focused on Union and Confederate buckles before embracing ambrotypes and tintypes. 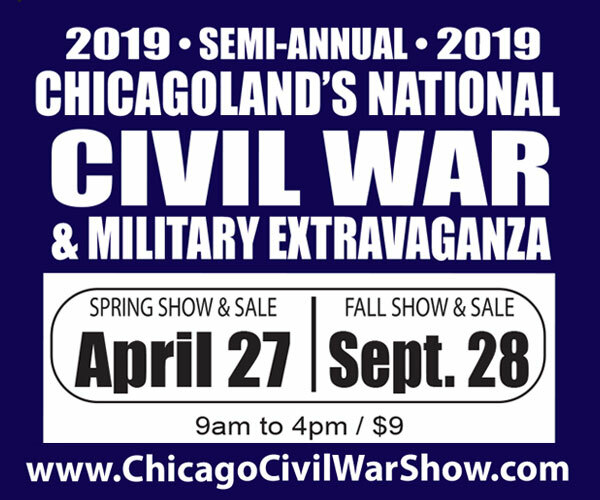 A model citizen in the collecting community, Rich is well known to many in the hobby from his appearances at Civil War shows. 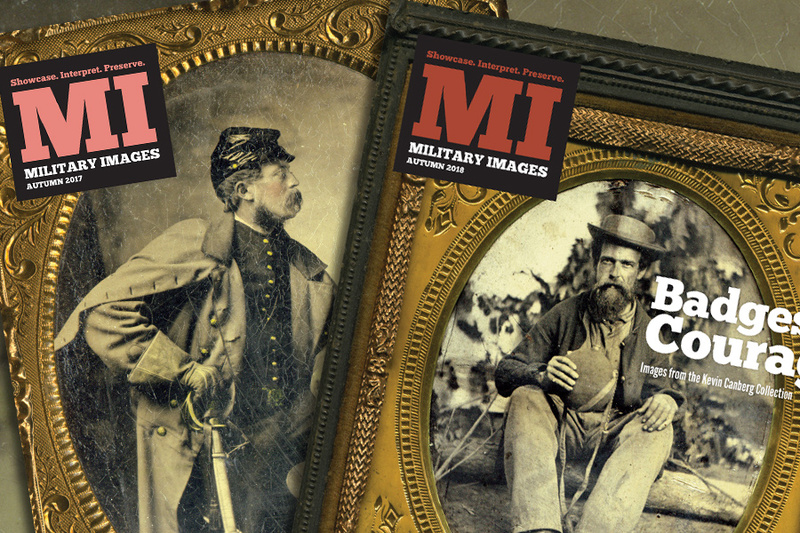 Rich’s images have been featured in the Time Life Civil War series and in numerous issues of MI, including Volume 1, Number 1, and a gallery of representatives images in the Autumn 2017 issue. 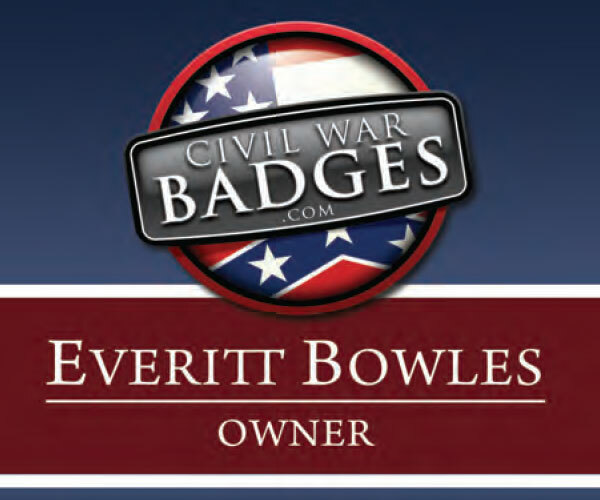 He has also served for many years as treasurer of his local Civil War Round Table. The father of two grown children, Rich is retired from 3M and lives with his wife Dianne in Paramus, N.J.
Kevin Canberg, an avid collector of American historic photography, has been both researching and writing about early photography’s role during the Civil War era since his time as a journalism student at Loyola University Maryland. Images from his collection have been featured in numerous books and magazines, and he has placed historic photographs in major public collections and museums, including the Library of Congress. Kevin is a regular contributor of both photographs and articles to MI, including a featured gallery in the Fall 2018 issue. 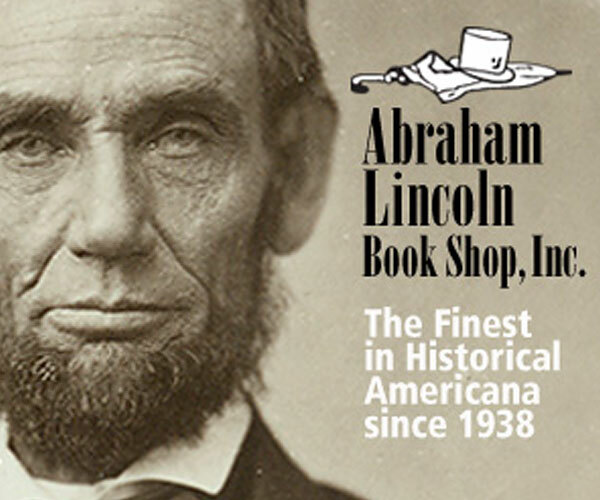 His Civil War-focused writing has also been published in periodicals including the Baltimore Sun. Kevin earned his JD from Pace University School of Law and makes his living as a legal risk management executive for a large financial services company. He shares a passion for early American images, art, and artifacts with his wife, Sarah, and daughter, Darcy. Last autumn, Military Images marked the centennial of World War I with a unique collection of images of Civil War veterans posed with Doughboys. In honor of their service, and as an ongoing part of our mission to showcase, interpret and preserve these old photos, we’re making this 11-page gallery available to you for free! 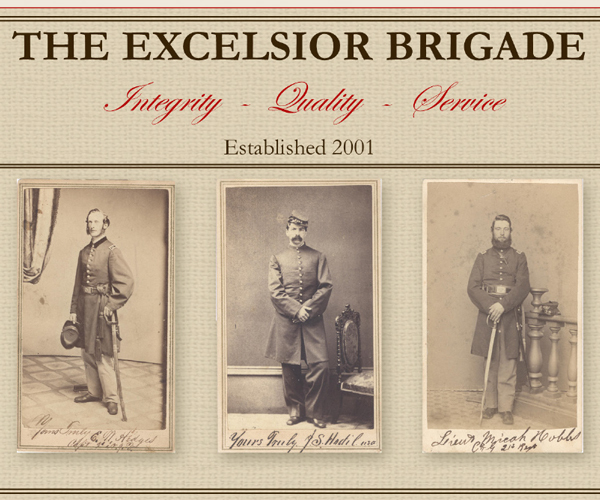 The Daguerreian Society is honored to offer THE CIVIL WAR GENERALS CARTE DE VISITE COLLECTION OF ROSECRANS BALDWIN in its entirety. This collection represents 165 Generals from the Union and Confederate sides plus a few notables like William Quantrill and John Wilkes Booth. Rosecrans (aka Crans) is a direct descendant of General Winfield Scott Hancock, and a more distant descendant of General William S. Rosecrans, both well-known Union Generals in the Civil War. For the fascinating story of how Crans became a collector, click here. 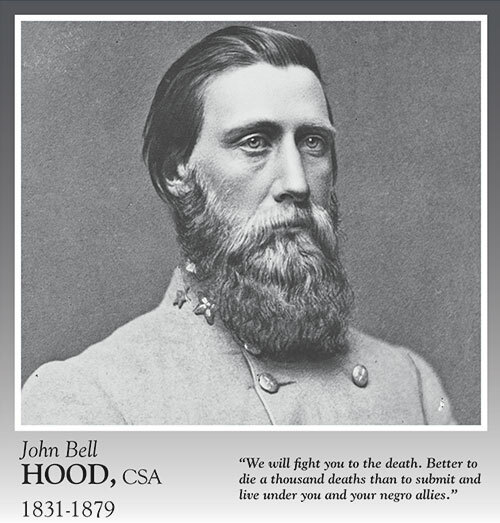 Oldfield Company presents a new poster featuring six Union and six Confederate generals with quotes that reveal their moving perspectives of the Civil War. This dynamic arrangement of images and quotations chillingly clarifies the realities of the great conflict. 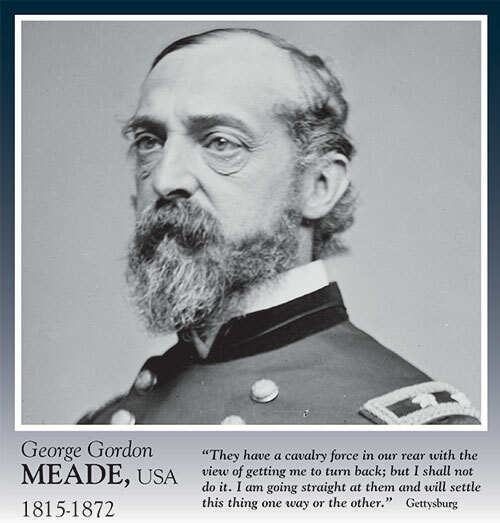 The quintessential quotation from each general includes their likeness and their years of birth and death. The 24” x 36” dimension fits a standard frame size for economical framing. 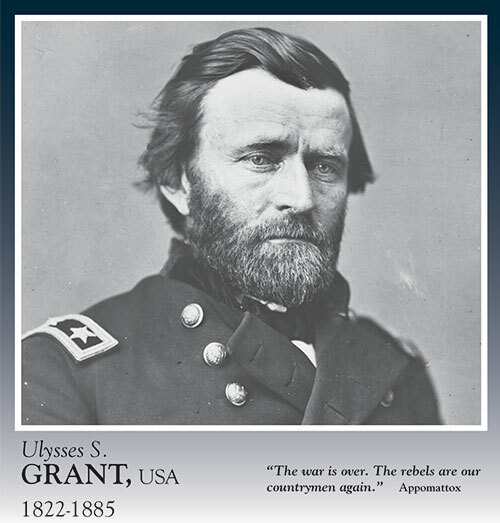 Display this handsome print of military leaders of the Civil War on your home, office or classroom wall. Posters are $25 each, plus $5 shipping and handling. For full purchase information, visit oldfieldcompany.com. Here’s a look at each general and his quote. A sixth-plate tintype from the collection of James Tassile Carden pictures a group of Union soldiers faking a meal for the photographer. The letters to the editor includes several clarifications and/or corrections, a plea for images of Civil and Revolutionary War generals, and a lengthy note about Orr’s Rifles by Ron Field. 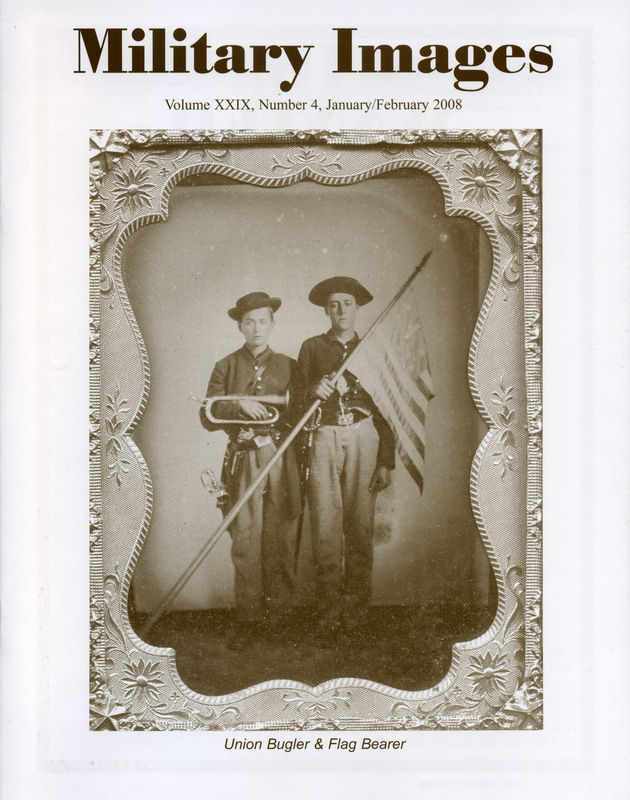 The issue features reviews of 10 publications, including Civil War Dictionary (David McKay Co.) by Mar M. Boatner; George B. McClellan, the Young Napoleon (Ticknor & Fields) by Stephen W. Sears; Come Retribution: The Confederate Secret Service and the Assassination of Lincoln (University Press of Mississippi) by William A. Tidwell with James O. Hall and David Winfrey Gaddy; Make Me a Map of the Valley (SMU Press) by Jediah Hotchkiss; Distant Thunder: A Photographic Essay on the American Civil War (Thomasson-Grant) by Sam Abdell and Brian Pohanka; Centennial Campaign: The Sioux War of 1876 (University of Oklahoma Press) by John S. Gray; If It Takes All Summer: The Battle of Spotsylvania (University of North Carolina Press) by William D. Matter; The Siege of Savannah (print by Freedom Hill Press) by Charles Jones; Gaines’ Mills to Appomattox (Texian Press) by Harold B. Simpson; The Brothers’ War: Civil War Letters to Their Loved Ones from the Blue and Gray (Times Books) by Annette Tapert. Soldier vignettes include Sgt. Seth Plumb of the 8th Connecticut Infantry, Sgt. 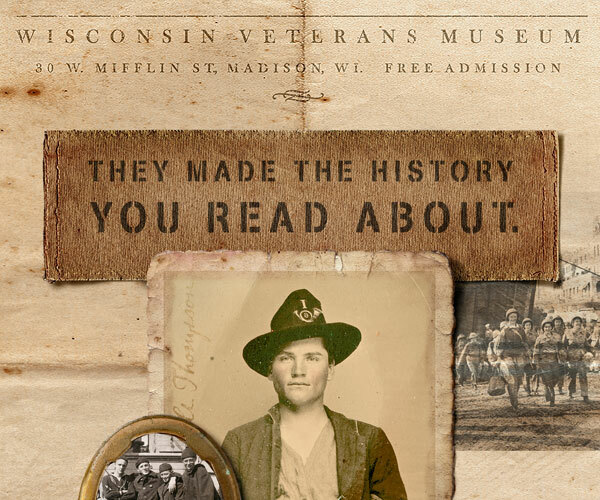 John V. Richards of the 31st Wisconsin Infantry, the Whiting brothers (Capt. Whiting S. and 1st lt. James W. of the 1st Maine Artillery and 1st lt. Charles A. of the 6th Maine Infantry), Capt. George Bissell of the 5th Wisconsin Infantry, Pvt. William H. Webster of the 96th Ohio Infantry, Pvt. George Wannemacher of the 5th New York Infantry (Duryée Zouaves), Pvt. Henry Williamson of the 1st Vermont Infantry and 7th Squadron Rhode Island Cavalry, Capt. 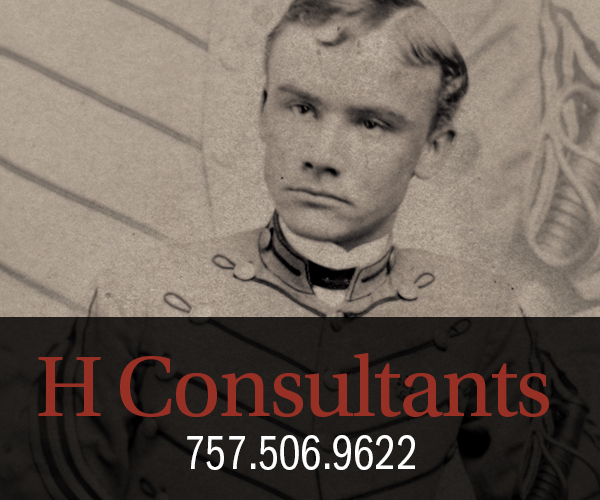 Edward Hall of the 8th Vermont Infantry and Capt. Ambrose N. Baldwin of the 20th New York State Militia. The life and death of Lt. Henry Hidden of the 1st New York Cavalry, who suffered fatal wound in action and died on March 9, 1862—the same day as the famed encounter between the Monitor and the Virginia. Hidden is believed to be the first cavalry officer in the Army of the Potomac to die in battle. 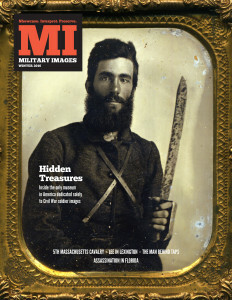 The text is illustrated by four cartes de visite, two variations on a well-known portrait by Mathew Brady, another Brady image and a photo of Hidden in civilian clothes. 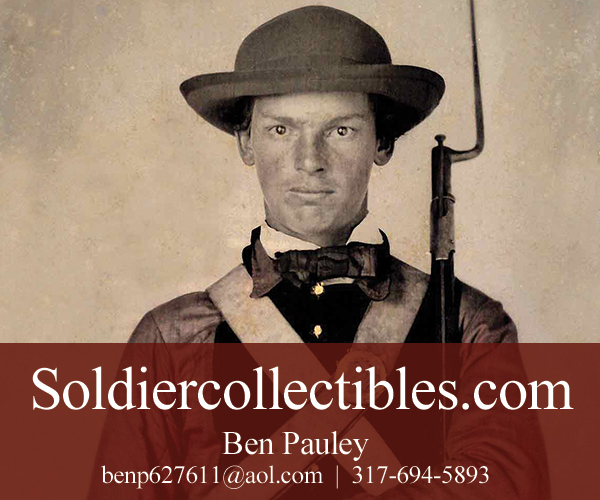 A brief history of the 140th Pennsylvania Infantry, illustrated with a carte de visite of Pvt. David Whitehill of Company H. Taken prisoner in the Wheatfield during the Battle of Gettysburg, Whitehill was eventually exchanged and rejoined his regiment. 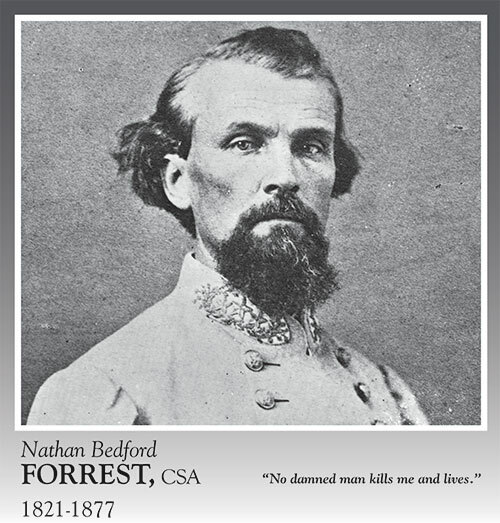 He was killed in action in 1864 during the Battle of Hatcher’s Run. Lt. Herbert Goldsmith Squiers, a veteran of 14 years on the western frontier, found himself at the American Embassy in Pekin, China, during the Boxer Rebellion. Serving officially as first secretary, he assumed a leadership role of the defenses of the embassies when the Boxers launched attacks against the fabled city. Key to the defenses was an old muzzle-loading cannon, known affectionately as The Old International. One of the men who worked the weapon, Gunner’s Mate Joseph Mitchell, would receive the Medal of Honor for his bravery in servicing the piece under fire. Images of Squiers, his wife, and several views of the cannon are included. Solo photos of the unusual, the unidentified & the humorous features images that span the antebellum era through the early 1900s. 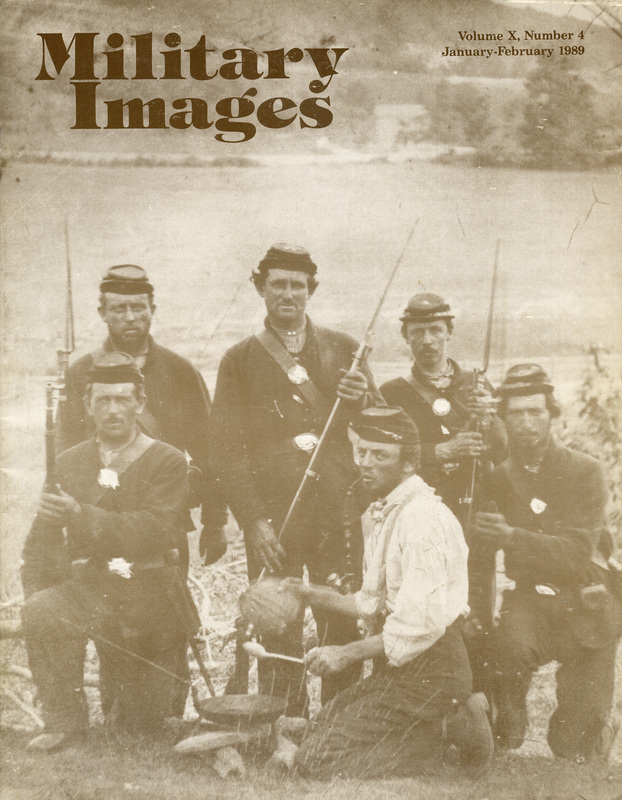 Included is four ambrotypes of pre-Civil War soldiers, a carte de visite of soldiers of the 71st New York State Militia at mess, the summer encampment of the Lincoln Light Infantry, Nebraska National Guard, and an albumen of a courier wearing a havelock preparing to deliver a message from the officer of the day. A sixth-plate daguerreotype from the collection of Steven Lister is a portrait of a militia sergeant, circa 1846-1850, dressed in a huge bell-crowned shako and equipped with a Model 1842 Springfield musket. A sixth-plate ruby tintype of John William Rhea of the 6th Texas Cavalry, who brandishes his D-Guard Bowie knife. Rick Brown collection. 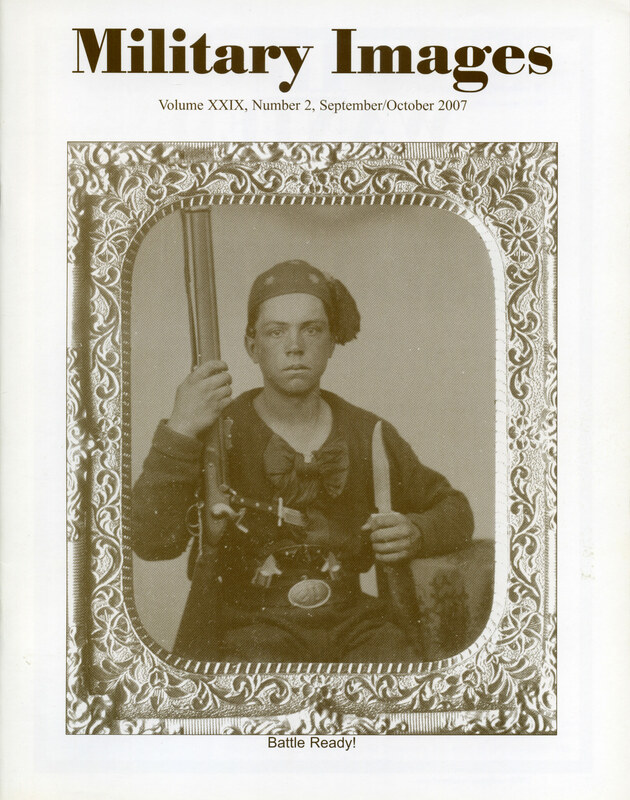 Feedback includes a compliment to contributors for sharing their images, a new identification of a musket held by a South Carolinian in the Palmetto Faces gallery, and a suggestion to produce an article that examines the possible use of bugles as props. From its early days as a hotbed of colonial rebellion to its role during the Civil War as a prolific supplier of men and materials, the six states of New England have served as a powerhouse for American ideals and revolutionary action. When it came to conformity of Civil War uniforms however, New England was no different than any other region of the country, North or South. 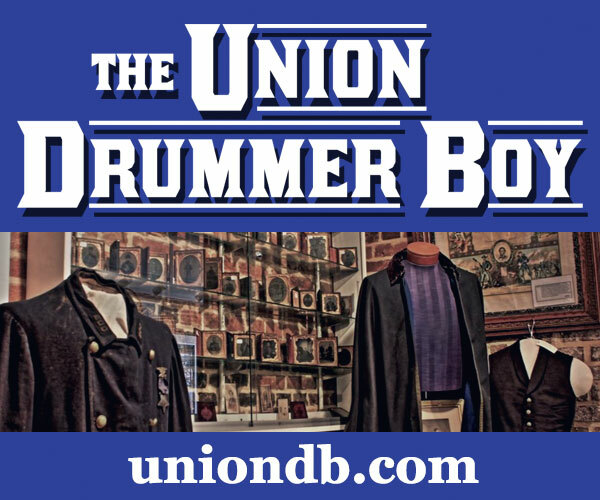 In Rally Round the Flag—Uniforms of the Union Volunteers of 1861: The New England States, author and MI Senior Editor Ron Field examines the dizzying array of early war uniforms. A modified excerpt provides background on the short-lived Edmands hat. An iconic image of Gen. Robert E. Lee astride his trusted horse Traveller has long thought to have been taken in Petersburg, Va., during the final months of the Civil War—a reasonable conclusion considering the content of the photograph. Author John O’Brien takes a fresh look at the image, and suggests a new location and date for the image, and identifies the photographers who made it. Massachusetts militiaman Hosea Ballot Ellis sits in his full-dress uniform, which includes a pompon-topped dress cap adorned with the brass letter “H” surrounded by a laurel wreath. The letter may signify Ellis’s membership in the Hancock Light Guards, a militia company formed in Quincy in 1855. Brave. Aggressive. Fearless. Uncompromising. A writer once used these words to describe Milton Holland – leadership qualities that came into play when he and his regiment, the 5th U.S. Colored Infantry, went into action in Virginia along the front lines of Richmond and Petersburg in the autumn of 1864. Capt. Andrew F. Chapman filled a photo album with cartes de visite of his comrades in the 5th Massachusetts Cavalry, one of only seven African-American cavalry regiments in the entire Union army during the Civil War. Selected images from the album, published here for the first time, and from the Rick Carlile collection, illustrate the esprit de corps of its cadre of white officers. 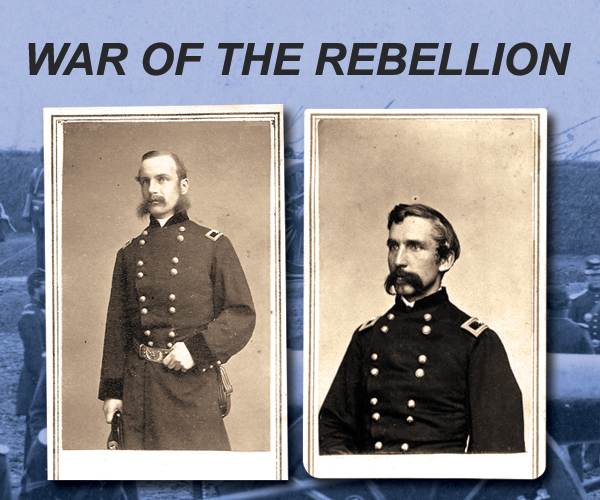 A profile of the regiment explores the role of the 5th during the final year of the Civil War. “When we attempt to understand history, we often find that empirical truths unfold alongside significant symbolic moments,” writes noted historian Gallman in this reflection on a portrait of Pvt. Booth of the 5th Massachusetts Cavalry. He adds, “And, to make things even more complicated, it is not at all unusual that our collective memory of events (both real and symbolic) differs from how participants understood what they were living through.” The image of this black trooper speaks to emerging themes of democracy, equality and the individualism of the American soldier. The first time Ronn Palm visited the red brick row house on 229 Baltimore Street in Gettysburg, Pa., the prominent archway in the entrance captured his attention. “Holy hell,” he though to himself, as the graceful shape of the building reminded him of a page in a carte de visite album. “That’s how my mind works, you know,” Palm said as he discussed the origins of the museum that bears his name. 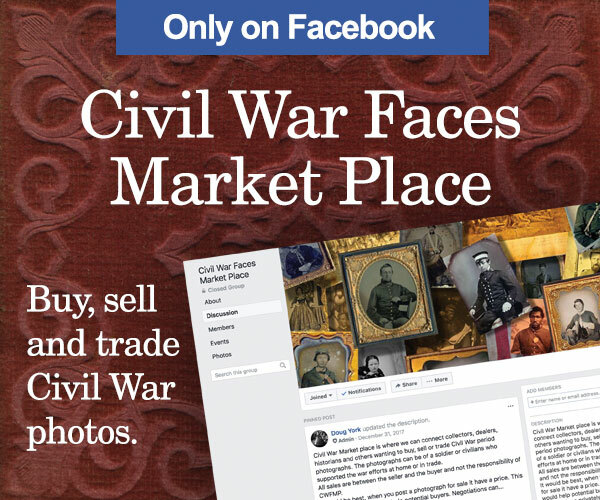 The building became home to Ronn Palm’s Museum of Civil War Images, and it is the only museum in America dedicated solely to soldier photographs. Representative examples from Palm’s extensive collections are highlighted here. In “How Fellow Collectors, Field Photos and Muttonchops Identified an Unknown Officer,” Luther explains how two less commonly used, but equally valuable resources, namely fellow collectors and field photography, helped him identify 1st Lt.and brevet captain William Ball of the 93rd New York Infantry. By 1865, the bullets had stopped flying and many of the soldiers in blue and gray marched home. But the residual effects of the war would continue for many years. Although Union veteran John Quincy Dickinson had escaped death on the battlefield, he faced new threats in his assignment to the Freedman’s Bureau in Jackson County, Fla., where he found himself in the crosshairs of the politically charged violence of the reconstruction effort. Modest and self-effacing Pennsylvania schoolteacher Oliver Wilcox Norton left behind one of America’s lasting military legacies. His Civil War service included the perils of combat, the joy of perfecting a classic bugle call and leading men of color into battle. 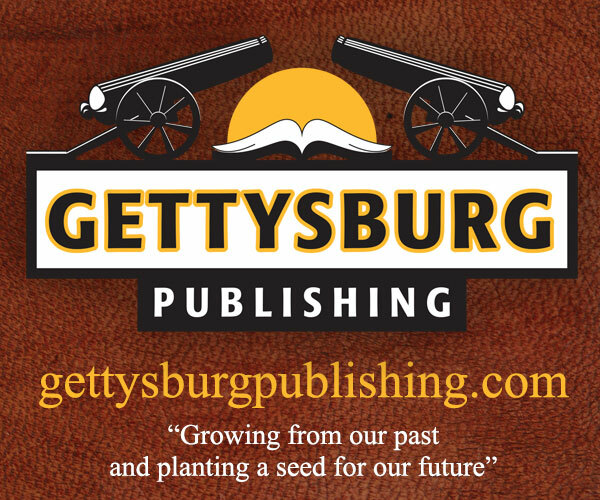 Norton’s post-war writings contributed greatly to our understanding of the struggle for Little Round Top at the Battle of Gettysburg in July 1863. Moreover, he helped compose “Taps,” the timeless bugle call honoring fallen soldiers. 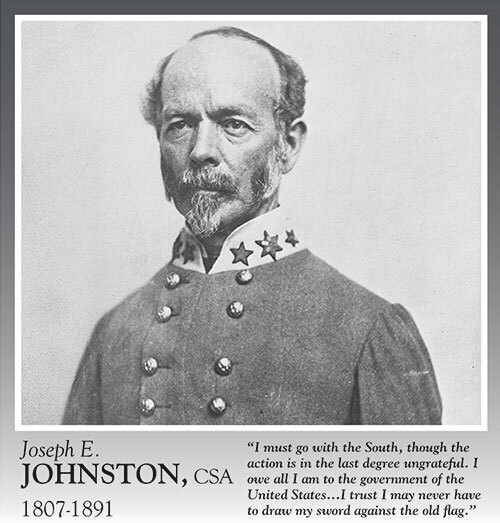 Lastly, the free thinking Norton served as an officer for two years in the 8th U.S. Colored Infantry. McAfee explores the Hungarian connection to the Union Army’s Model 1858 uniform hat. It was known by various nicknames, including the “Kossuth hat” in honor of Louis Kossuth (1802-1894) of Hungary, a freedom fighter celebrated across the antebellum U.S. but hardly remembered today. White attitudes towards African Americans varied greatly throughout the Union army during the Civil War, even within regiments. Such was the case in the 7th Illinois Infantry. The respected commander of the unit’s Company G, Capt. Henry Willard Allen, publicly supported the Emancipation Proclamation—an endorsement that cost him his life at the hand of one of his own men. 25 years after a unique photo of a soldier holding an impossible large wood sword and seated astride an oversize “horse” made of timber made the rounds in books and film, Kotchian discovered its origins and connections to Old World punishments. This issue’s selection of distinctive and unique images from MI contributors is focused on Confederates. 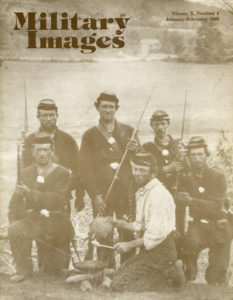 Included is Hiram Rathbone of the 62nd North Carolina Infantry, a soldier with a small Confederate national flag protruding from the upturned brim of his hat, a private who may hail from the Virginia Piedmont, John William Rhea of the 6th Texas Cavalry, Edmond R. Brown of the 11th Virginia Infantry, Zachariah Angel Blanton of the 18th Virginia Infantry, and a soldier wearing fur gauntlets and muffler. The bustling Union army’s training facility on the outskirts of St. Louis, Benton Barracks was capable of housing up to 30,000 soldiers at one time. Recruits from Missouri and elsewhere poured into the sprawling complex, where they learned the military arts. Many of these green troops were eager to send home photographs dressed in newly issued uniforms and equipment. And, they did not have to go far. Enterprising photographers used painted canvas backdrops to lure in the soldiers. This survey examines a half dozen examples used by these photographers to bring soldiers into their studios. “Soldier’s Heart” was one term used in the 19th century to describe a mental health condition known today as Post-Traumatic Stress Disorder, or PTSD. Other terms were used by physicians, families and comrades as well, to define the changes that occurred to a man as a result of his Civil War experience, including “Melancholia,” “Nostalgia” and “Homesickness.” One man afflicted was Bernard F. Blakeslee of the 16th Connecticut Infantry. 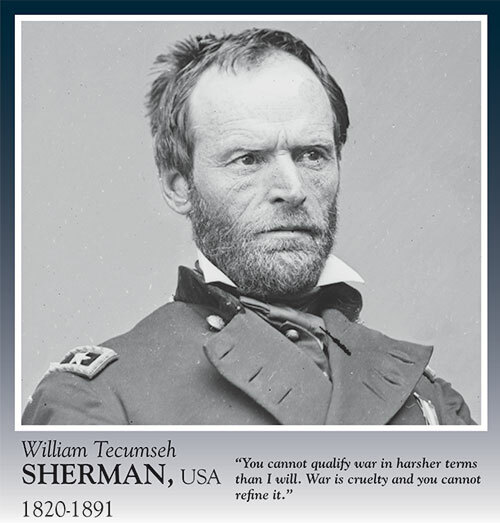 The horrors of Antietam and other wartime experiences left numerous physical injuries that healed over time, and a psychological injury from which he never recovered. In the maelstrom of fighting at Stones River, Tenn., on the last day of 1862, dense clouds of gun smoke hung like a pall over the bloody battlefield. At times, the smoke would drift apart to reveal a brief glimpse of the desperate struggle between blue and gray. At one such moment, a federal soldier observed a Union captain drop his sword, grab cartridges and a musket from a fallen comrade, and blast away at the enemy. The event would be recorded in an after-action report as a remarkable act of bravery. The captain, 54-year-old Richard M. Waterman of the 31st Indiana Infantry, was old enough to be the father of many in his command. The story of his participation in the battle and what happened to him afterwards is revealed. 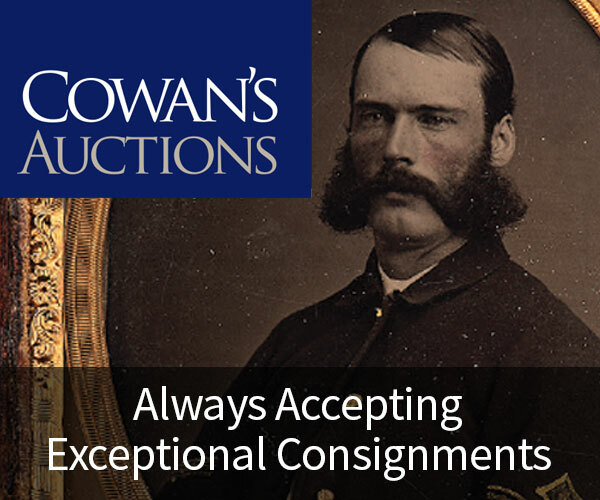 Collector Dan Binder shares an ambrotype of a bearded Union infantryman with a furrowed brow uses the bayonet of his Prussian Model 1809 Potsdam musket as a convenient hat stand. Three letters attached to the flat part of his cap reveal a C flanked by a pair of Gs. The letters appear reversed here, a limitation of the photographic processes of the time. Confederate soldier John W. McCown, a private in Company C of the 3rd Battalion Tennessee Infantry. Don Ryberg collection. 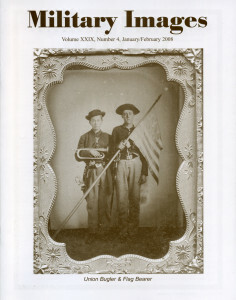 The editor reviews the diverse range of articles in this issue, including the return of Senior Editor John Sickles with vignettes of soldiers and first-time contributor Prof. Sean Heuvel of Christopher Newport University, who has authored the lead article about an officer in the 114th Pennsylvania Infantry. 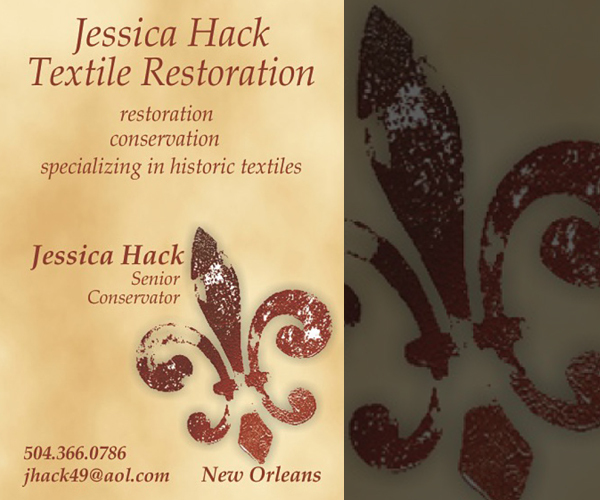 Additional information is provided about the images pictured on the front, inside back and back covers. The life and military career of Capt. George J. “Jake” Schwartz is detailed, beginning with his service in the 18th Pennsylvania Infantry, a regiment organized for three months in 1861. Schwartz reenlisted in the Company Zouaves De Afrique and later the 114th Pennsylvania Infantry. 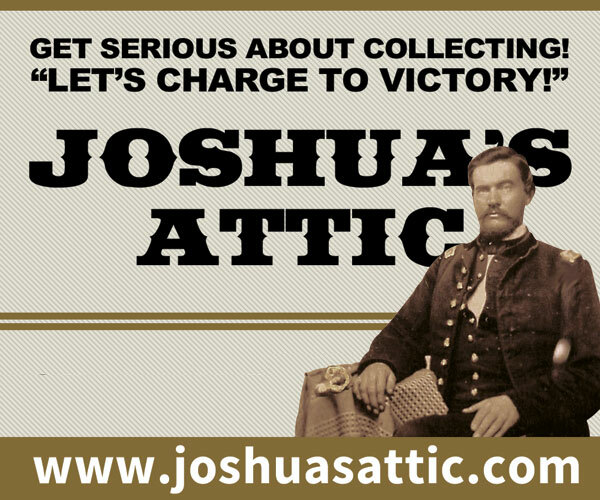 His combat career came to an end in May 1863 when he was seriously wounded during the Battle of Chancellorsville. He was active in Keystone State politics and veteran’s organizations after the war. His story is illustrated with an engraving that pictures him during the war, two post-war photographs and his sword. Four cartes de visite of Confederates held at Point Lookout Military Prison include three unidentified men dressed in army uniforms and a fourth man who served aboard a blockade runner. A group of three cartes de visite picture Clary at various times during his war service, including an image of him posed with three women. A fourth carte de visite is a portrait of his father, Robert Clary Sr. The younger Clary fell into trouble on at least two occasions documented in an accompanying profile, and was captured and briefly held by Confederate forces in mid-1862. “Tom” Lake served in the 6th Virginia Cavalry in a company that was transferred to the Jeff Davis Legion of Mississippi Cavalry. The company became known as The “Little Jeff” because it had fewer men than other organizations. Tom survived the company’s toughest fight at Upperville, Va., on June 21, 1863. 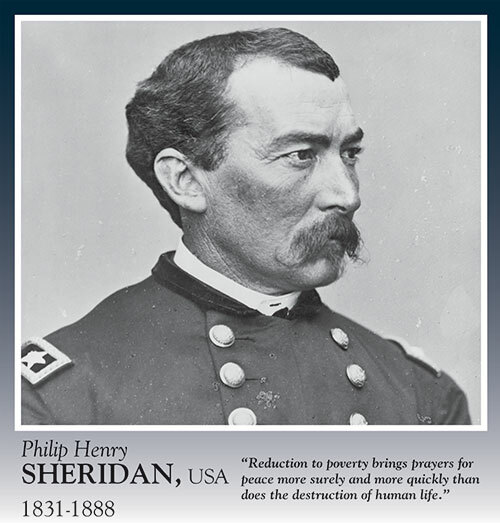 He survived the war and took the oath of allegiance to the federal government on May 1, 1865. Broad-brimmed straw hats, also known as Sennit hats after the Egyptian reed used by British seamen, are pictured in three images of American sailors. Accompanying text details the physical aspects of the hat and a brief history. William Zickerick, a Prussian army veteran immigrated to Wisconsin with his family in 1848, started his American Civil War experience with a captain’s commission in November 1861. 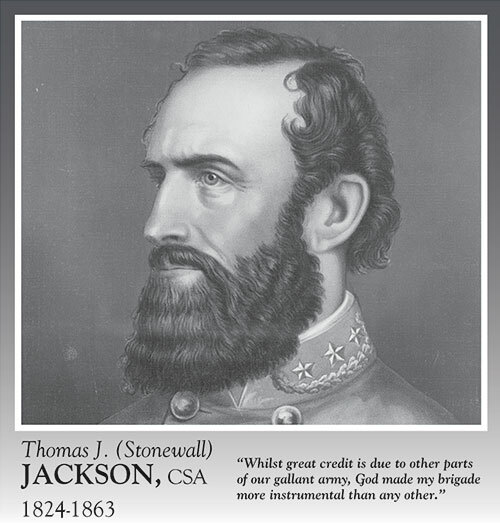 He would go on to participate in several major campaigns with the 12th Wisconsin Battery, including Vicksburg, the March to the Sea and the Carolinas. On May 24, the 12th, with Zickerick in command, fired the first gun that officially started Washington’s Grand Review of the federal armies. Zickerick died in 1906 at age 81. The profile is illustrated with two images of Zickerick, a carte de visite of him in uniform and another long after the war. Canadian-born Murphy served through the war with the 30th. His adventures carried him from Camp Randall in Madison, Wis., to Dakota Territory. Murphy was discharged on March 30, 1865. At the time he was suffering from tuberculosis. 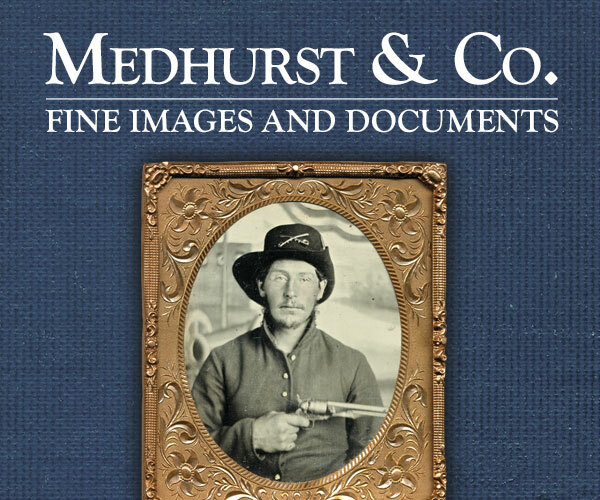 The author notes his recent acquisition of two Civil War photographs of soldiers who served from his home county. One of the men, Orlando Servis, served with distinction in the 9th Indiana. 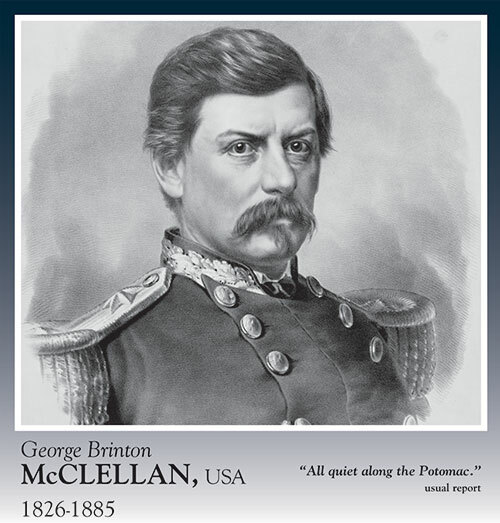 He suffered two wounds during the Atlanta Campaign and ended the war as a sergeant. He died in 1924 at age 83. Ten unidentified images from the collections of MI readers are featured here with brief captions that describe uniform and other details. All appear to be from the Civil War. Included is a Pennsylvania chaplain, several Union officers and a group portrait of four Confederate officers. McAfee begins this history of the origins of “The Jacket” with a reflection. “Back in the old, old days when Military Images was first begun by Harry Roach this author wrote a series of articles on uniform types, including one on the jacket. It would be nice to report in the intervening three decades (Yes—three decades!) all questions concerning the origins and usages of uniforms during the American Civil War had been resolved. They have not, but a great deal has been added to our knowledge and understanding of Civil War uniforms.” The story that follows is illustrated with 11 images of soldiers wearing variations on the jacket. Major Henri St. Paul de Lechard was born in Belgium and commanded the 7th Louisiana Infantry Battalion. 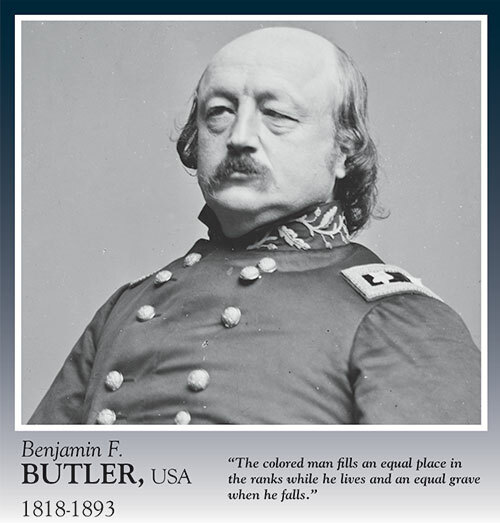 When the battalion was disbanded in August 1862, he served as a staff officer until he was paroled on May 12, 1865. The carte de visite portrait of de Lechard was taken by Quinby & Co. of Charleston, S.C., and is in the Don Ryberg collection. Four images are featured in this issue, including Pvt. Henry E. crouch of the 45th Massachusetts Infantry, Thomas A. Robertson of the 8th and 16th Pennsylvania cavalries, Brig. Gen. James Alexander Walker of the Confederate States army and Capt. Ralph Sheldon of the 2nd Kentucky Cavalry (C.S.A.). Smith S. Turner, a lieutenant in Company B of the 17th Virginia Infantry, served three years with the regiment. He was paroled in Danville in June 1865 and went on to become a lawyer and member of the U.S. House of Representatives. He died in 1898. Charles H.T. Collis, colonel and commander of the 114th Pennsylvania Infantry, received the Medal of Honor for gallantry at the Battle of Fredericksburg. He ended the war with the brevet rank of major general of volunteers. Ken Turner collection. Reclining in front of a painted backdrop, this young Union soldier exudes confidence in himself and in the cause for which he has enlisted. Ken Bertholf collection. A quarter-plate ambrotype from the Donald Bates Sr. collection is a portrait of a Union bugler and flag bearer armed with revolvers and sabers. The flag is a swallowtail guidon of the style adopted by the Union army in January 1862. The editor highlights the facts that this issue contains representative images that span seven of the first eight decades of photography, from the 1850s to the 1920s. Also mentioned is a fundraising effort by the Army Heritage Center Foundation to preserve the unique collection of images at the U.S. Army Military History Institute at Carlile Barracks, Pa.
An unusual cabinet card showing the casket of O’Brien lying in state at the Charlestown, Mass., City Hall is the centerpiece of a story about the life, military service and death of O’Brien, an Irish immigrant killed in action at the head of a “Forlorn Hope” against the defenses of Port Hudson, La., on May 27, 1863. In addition to the cabinet card, a wartime carte de visite of O’Brien and an image of Maj. Gen. Christopher C. Augur are included. A total of four images are featured in this mini-gallery. They include Sgt. Max Simon of Troop H of the 6th U.S. Cavalry, an Apache scout circa 1881, three members of the 7th U.S. Cavalry (one man is identified as Herb McCarthy), and three troopers of the 6th U.S. Cavalry. Subtitles “Indiana Troopers Sweep Through Alabama During the Final Weeks of the War,” the story is a history of Wilder’s Brigade, named for its commander John T. Wilder. The brigade included the 98th and 123rd Illinois and the 17th and 72nd Indiana Mounted Infantry regiments. The last ride, a saber charge, occurred on April 1, 1865. Identified soldiers include, in order of appearance, Col. Wilder, Lt. Col. Chester G. Thompson of the 72nd, Maj. Gen. James H. Wilson, Pvt. Richard Foster of the 72nd, Col. Jacob G. Vail of the 17th, Pvt. Charles T. Hughes of the 17th, Maj. Lawson Kilborn of the 72nd, Pvt. John T. Fisher of the 17th, 1st Lt. Lewis B. Garrett of the 72nd, Capt. James Taylor of the 17th, Gen, Nathan Bedford Forrest, 1st Lt. James T. Quick of the 72nd, Lt. Col. Frank White of the 17th, Surg. William C. Cole of the 72nd, Pvt. Tobias M. Grimes of the 72nd, Capt. Arius U. Craven of the 72nd, Capt. Jacob W. Gladden of the 72nd, Pvt. Jacob Musgrave of the 72nd, 2nd Lt. George J. Foster of the 72nd, 2nd Lt. William H. Atkinson of the 72nd, Pvt. John Quillan of the 17th, Pvt. George W. Lamson of the 17th, 1st Lt. Johnson Parker of the 72nd, Capt. Robert A. Vance of the 72nd, Capt. William P. Herron of the 72nd, Sgt. Augustus M. Cory of the 72nd, 2nd Lt. William F. Hendrickson of the 72nd, 1st Sgt. James Richey of the 72nd, Surg. John B. Larkin of the 17th, Maj. John J. Weiler of the 17th, Pvt. Wesley Burris of the 72nd, Pvt. Benjamin Pickerel of the 72nd and Pvt. James H. Higgason of the 72nd. A total of 12 images, 11 American and one German, are featured. Identified subjects include Henry Heintz of Elmhurst, Ill., J.M. Roberts of Eldred, Ind., Roy Zittustrung of Grantsburg, Wis., John Hulihan of Chicago and Corp. Hubert Amous. In “Landis’ Battery: Company A, First Regiment Pennsylvania [Militia] Artillery,” McAfee admits his fondness for the American militiaman and goes on to discuss the military history and uniforms of Landis’ Battery. Images include Capt. Henry D. Landis, for whom the battery takes its name, John Fulton Reynolds Landis (1856-1939), his son, Pvt. A.M. Grant, and two images of the battery in camp and in the field. A ninth-plate ruby ambrotype from the Robert C. Johnson Jr. collection features a soldier dressed in a battle shirt and holding a flintlock musket and bayonet. A total of 8 images submitted by subscribers are featured, and they include a trooper from the 1st Vermont Cavalry, Thomas Whipkey of the 15th Pennsylvania Cavalry and Drummer boy Daniel Clouse of the 46th Pennsylvania Infantry. “Winning Hearts ad Minds in the Philippines” is the quote below a circa 1900 photo of four U.S. soldiers posing with a pile of humans skeletons. A carte de visite copy of a daguerreotype from the David Neville collection shows Fort Howard, Wis., in 1850. A sixth-plate ambrotype from the Brian Boeve collection features a heavily armed Union soldier dressed in Zouave-like attire. 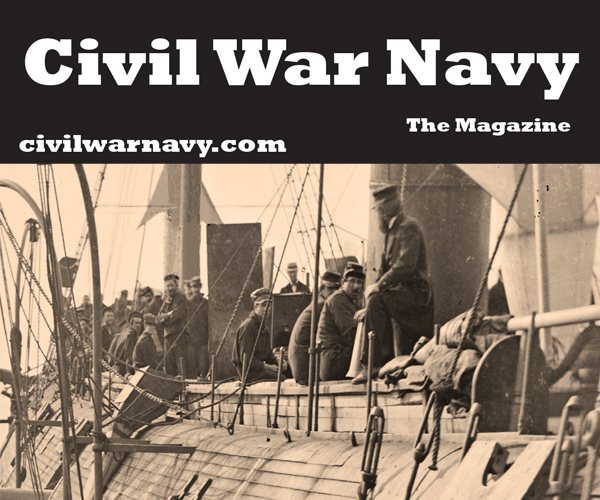 The editor introduces the Antietam theme in honor of the 145th anniversary of the battle and reports that the recent medical-themed issue seemed to be enjoyed by most readers. Two books receive favorable reviews. Uniforms, Arms, and Equipment: The U.S. Army on the Western Frontier, 1880-1892, by Douglas C. McChristian (University of Oklahoma Press) and US Infantry in the Indian Wars 1865-91 by Ron Field (Osprey Publishing). Images of two pairs of warrior brothers and brief sketches of each soldier include William D. Lowe and John C. Lowe of the 13th Mississippi Infantry, and Solomon and Harrison Moore of the 6th North Carolina Infantry. A New England lieutenant, Edward C. Pierce of Company B, 3rd Maine Infantry, was featured in two photographs taken near Sharpsburg, Md., in September or October 1862. The images, by Alexander Gardner, show Pierce at the Elk Ridge Signal Station. Text that accompanies the images explains how the purchase of a carte de visite of Pierce (also pictured) by the author led him on a voyage of discovery that ended with the Gardner images. 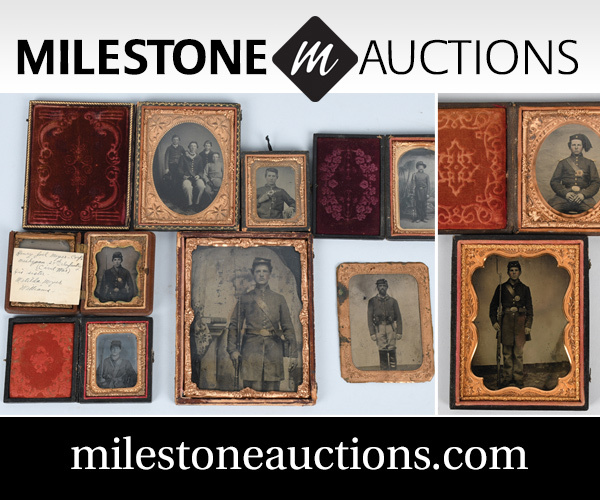 Representative examples of Civil War soldier portraits from the Brian Boeve collection include 12 unidentified Union soldiers. Three artillerymen, three cavalrymen and six infantrymen are featured. 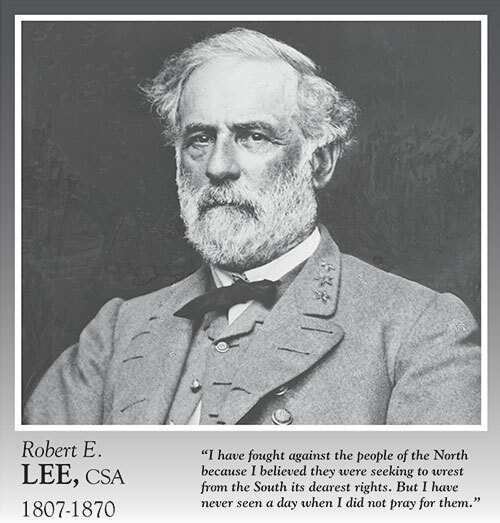 The quote used in the headline is taken from a letter written on June 2, 1862, by Griffin to describe the Battle of Seven Pines. It was published in the 1996 book A Gentleman and an Officer: A Military and Social History of James B. Griffin’s Civil War (Oxford University Press). 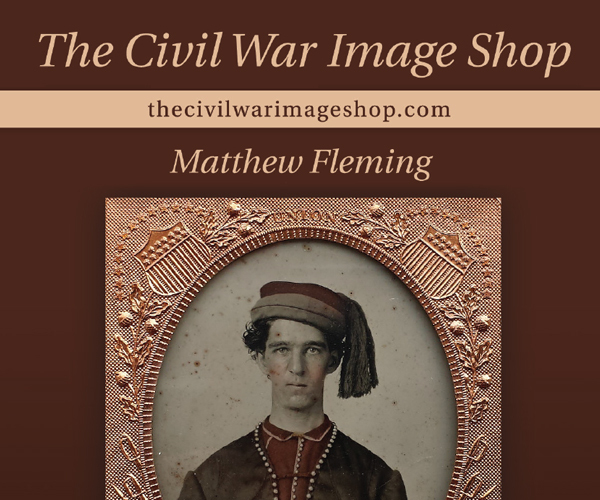 The author goes on to explain how he came to possess and confirm a partially identified carte de visite that he purchased at a flea market in the Dallas, Texas, area and provides a short profile of the subject. The Griffin portrait, made by Wearn & Hix of Columbia, S.C., illustrates the story. Three carte de visite portraits of William White Dorr, the cover of his prayer book and his lieutenant’s shoulder straps are pictured in this tribute to an officer who was killed in action at the Battle of Spotsylvania Courthouse on May 10, 1864. A cabinet card of Hockensmith illustrates a sketch of his life and service with Quantrill’s Guerrillas, which ended with his death near the end of the war when he was shot and killed by Yankees. Described by the author as an “errant captain,” Miles ran afoul of the military justice system on numerous charges, including “frequent licentious practice” that resulted in venereal disease. He was dismissed from the army in November 1864. 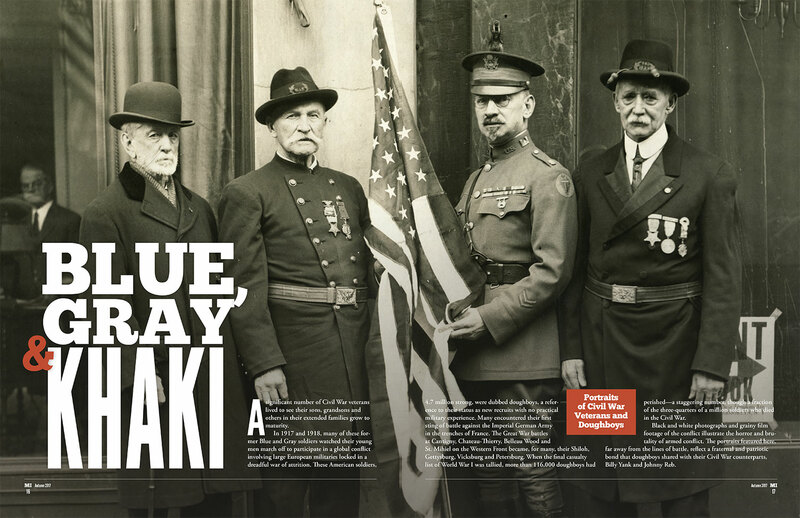 An elite band of veterans who served in regiments organized in Massachusetts during the Civil War formed one of the most exclusive social clubs in the world. At its height, the club numbered 19 members, and six of them are pictured here. They include Robert Hooper Stevenson of the 24th Infantry, Henry Sturgis Russell of the 2nd Infantry and 5th Cavalry, Charles Francis Adams of the 1st and 5th cavalries, Dr. Hall Curtis of the 24th Infantry, Henry Lee Higginson of the 2nd Infantry and Charles Albert Whittier of the 20th Infantry. 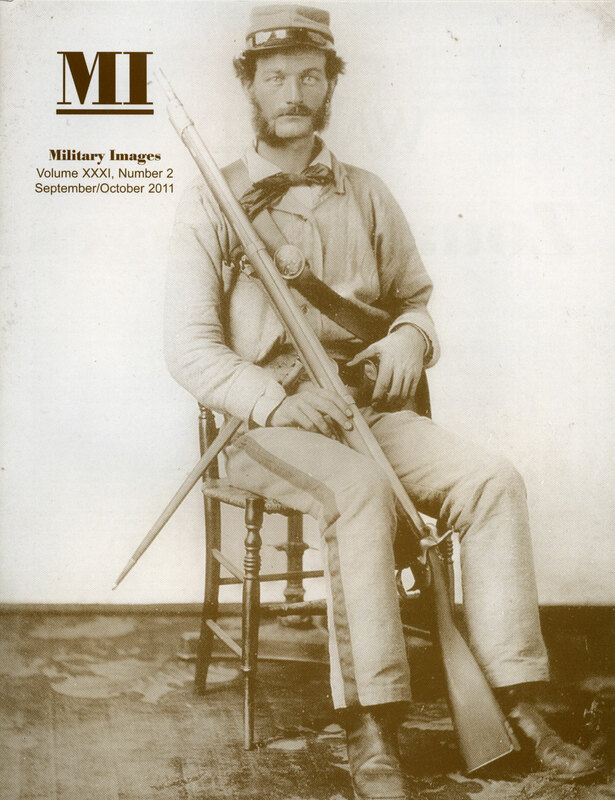 The author details the need for high-tech guns during the Civil War and profiles inventor Christopher M. Spencer, for whom the popular weapon was named. The narrative is illustrated with a carte de visite of an unidentified cavalryman, a 4th Massachusetts Cavalry soldier, a portrait of Col. John T. Wilder of the first brigade in the Union army to be armed with Spencer rifles, an image of William Thieme of the 72nd Indiana Infantry of Wilder’s Brigade and Albert J. Tift of the 5th Michigan Cavalry. A ninth-plate ambrotype from the Al Camblin collection pictures Wiley G. Grist of New Hanover County, N.C., is featured in this installment. 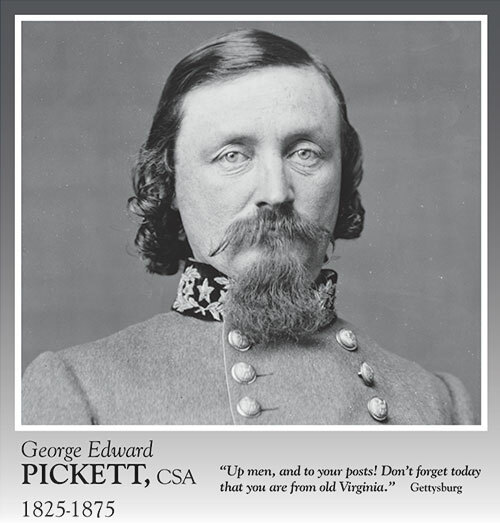 He served in the 1st North Carolina Light Artillery and the 41st North Carolina Troops, also known as the 3rd North Carolina Cavalry. In “Zouave Regiments of the National Guard, State of New York, 1866,” McAfee subtitles the narrative “Once a Zouave, always a Zouave?” Noting that “some veterans of the Civil War seem to have felt the need to continue the fraternity of soldiers into peacetime,” he details three regiments of Zouaves, the 1st, 3rd and 4th New York militia regiments. The text is illustrated with two engravings and a half dozen carte de visite portraits. Identified images include Charles Blumenroether of the 1st, Almar Webster and Mortimer Mackenzie of the 1st and John Hock of the 4th. The life and military service of David T. Poyner is detailed here. A sixth-plate tintype of two unidentified Union soldiers playing cards and holding firearms is part of the Derek Manov collection. Sixth-plate ambrotype from the J. Dale West collection pictures Capt. David T. Poyner, who served in Company A of the 5th Battalion Virginia Infantry.